Sometimes things get a little too serious around here. 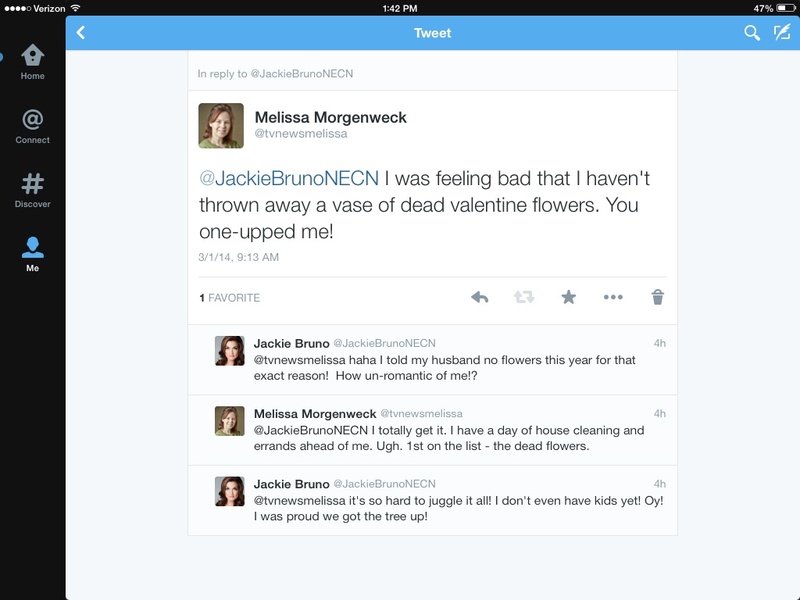 I want to share a twitter exchange I had with New England Cable Network’s Jackie Bruno this morning. I think so many of you will be able to relate. Her post made me laugh and suddenly I didn’t feel so bad about the vase of dead Valentine roses I’ve been meaning to throw away. 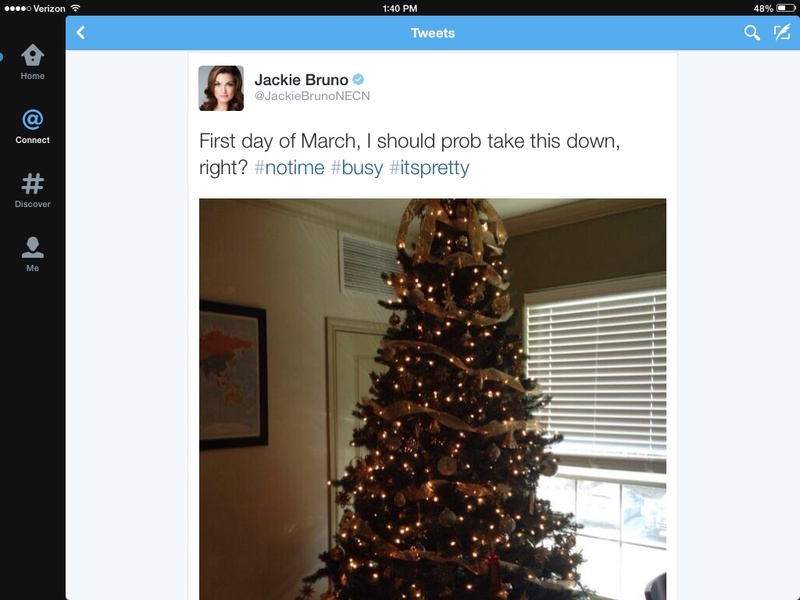 Jackie is right. She’s admitting what every other woman I know – whether in this business or out of it is saying. It is hard to juggle work, family, and home and our desire to get it all done only puts more pressure on ourselves. Trust me, I don’t have any advice about trying to tame the beast but her post reminded me that sometimes it’s best to take a moment, admit the truth and laugh about it. P.S. 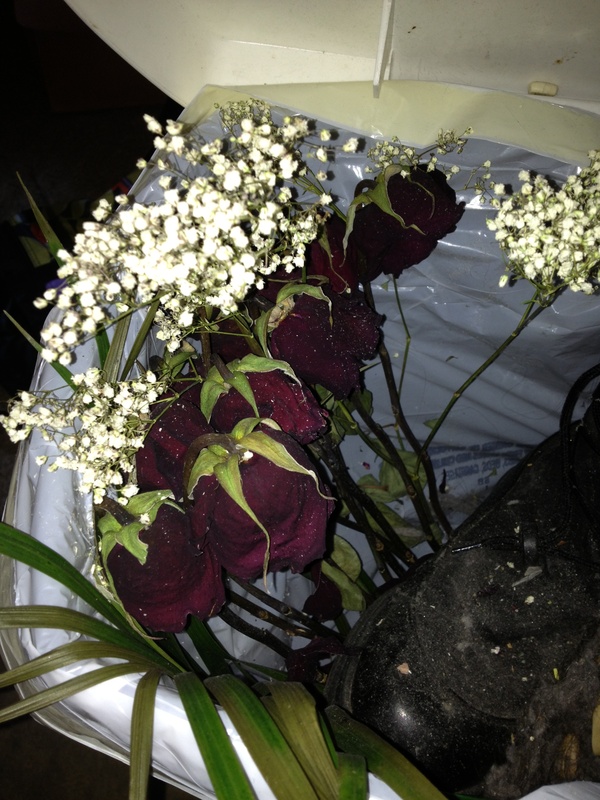 The dead roses finally made it into the trash!